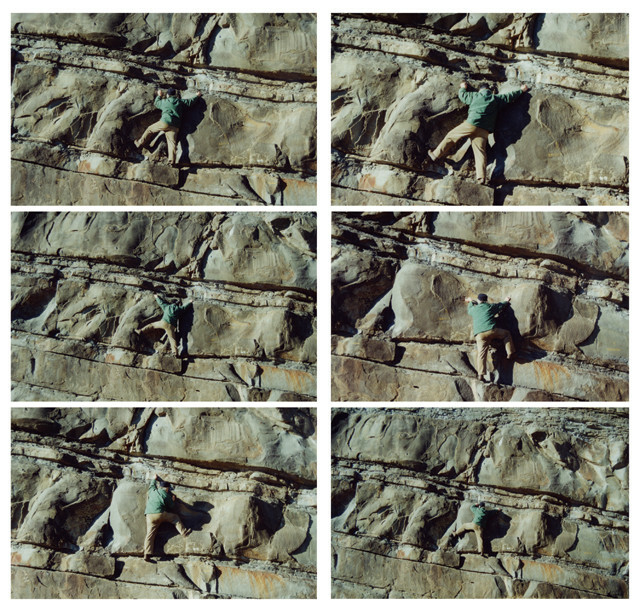 The metaphor suggested by the title is expressed through an image that portrays Gianni Pettena himself in a situation of “impasse” while climbing a wall of rock. 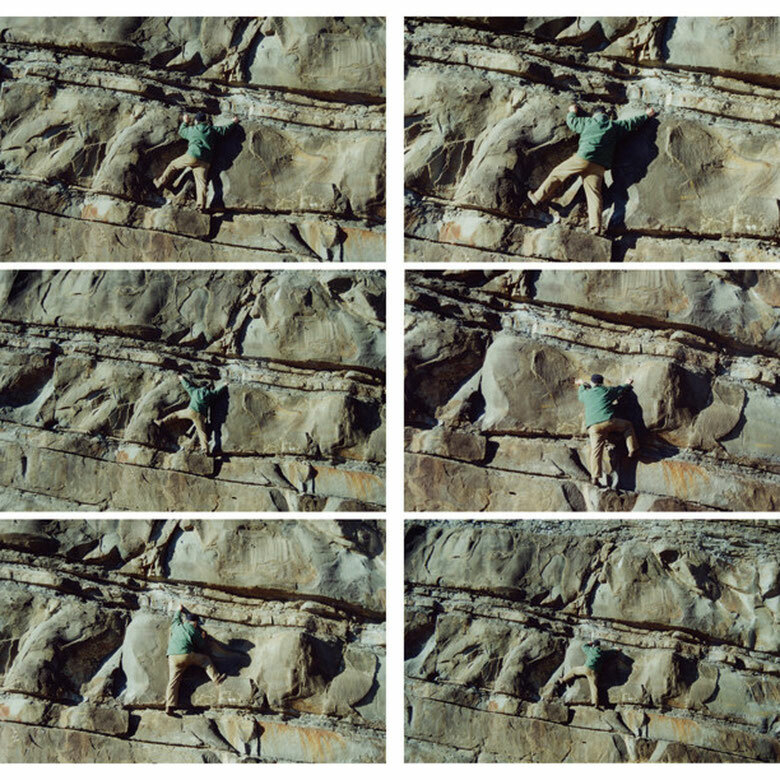 Thus it is an image that reflects the determination to tackle obstacles and find ways of surmounting them, overcoming fears and uncertainties, controlling every movement that, if not carried out in sequence and carefully thought-out, might lead to a disastrous fall. Taking up in part the themes of the previous work on the possibility of a different interpretation, in a symbolic key, of architecture and the role of those who work in the discipline, what is represented here is the need to make choices and at the same time the difficulty of doing so, of taking routes that, while they may appear impassable, are actually the very essence of the artist’s thought and language: his true life therefore, symbolized here by the contact with the natural material to which he must cling so as to remain in reality, even if in solitude.